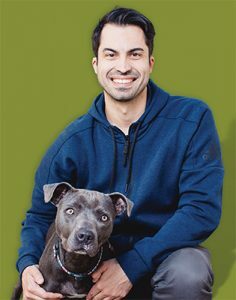 Wild Earth Inc. is using cultured proteins to develop clean, high-quality pet foods that are healthier, more environmentally friendly, and more humane than conventional products, according to the biotech startup company. The company’s first cultured protein product is made from human-grade koji, the common name of the fungus Aspergillus oryzae, a microorganism found in Asian cuisine. According to Bethencourt, Wild Earth can create a range of proteins and carbohydrates, with varied textures and flavors, all with ingredients sourced, formulated, and made in the U.S. Using cultured proteins aims to avoid the risks associated with traditional animal-based proteins, Bethencourt added, referring to recent recalls as well as the environmental impact of manufacturing of pet foods. An estimated 25 to 30 percent of meat’s environmental impact in the U.S. is attributed to pet food, but Wild Earth can produce at scale at a fraction of the environmental cost, he said. Gregory Okin, Ph.D., a geographer at University of California, Los Angeles, published a study last year that revealed dogs and cats eat an equivalent number of calories as 62 million Americans, or a fifth of the population. The study also found that feeding pets creates the equivalent of 64 million tons of carbon dioxide a year. Bethencourt recently was asked by National Geographic whether vegan diets were right for both dogs and cats. “It’s something we don’t have data for right now, but as you’ve seen with vegan athletes, we think that a nonmeat diet will be beneficial to the animals as well, perhaps surprisingly so,” he said. 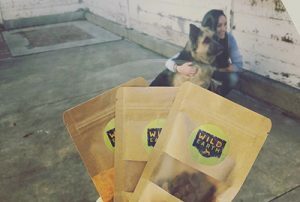 Wild Earth products will be tested via a protocol approved by the Association of American Feed Control Officials, conducted by volunteers and animals living in homes; these clinical trials will test for palatability, preference, digestibility studies, and stool quality. In addition to AAFCO approvals, this type of trial is gaining favor in the scientific community because it delivers real-world results, according to a Wild Earth statement. The company plans to release its first pet treat product by June, with a kibble-based food available later in 2018. For more information, visit wildearthpets.com.